Published on August 12, 2012 in Bands/Artists, Daytrotter, Eastern Iowa, Little Village Magazine, Music, Out and About, Personal History and Upcoming Show. 0 Comments Tags: Barnstormer, Dawes, Daytrotter.com, Englert, Live Iowa City, Nathaniel Rateliff. Since the last time California band Dawes graced a stage in Eastern Iowa in 2010 they’ve been busy. Last year they released their sophomore album Nothing Is Wrong, got their video for “Time Spent In Los Angeles” added to VH1’s Top 20, tapped as his touring band by Robbie Robertson (and backed him on Letterman! ), toured seemingly non-stop around the world both headlining and in support of bands like Mumford & Sons as well as hitting the festival stages at Coachella and Lollapalooza. After being spoiled with a bunch of performances in 2009 and 2010 (three Barnstormer shows, RIBCO, Barn on the Fourth in Maquoketa, Gabes) we’re excited to have the band back in Iowa with what should be an amazing show at the beautiful Englert Theater in Iowa City next Sunday, 8/19. Joining them is fellow Barnstormer and Daytrotter.com alum Nathaniel Rateliff. This promises to be one of the great shows of this year, so don’t miss it. The crowd will be packed with Barnstormer regulars ready to welcome the boys back, so the crowd will be bringing the love and if past experience dictates, the band will respond with an amazing show. 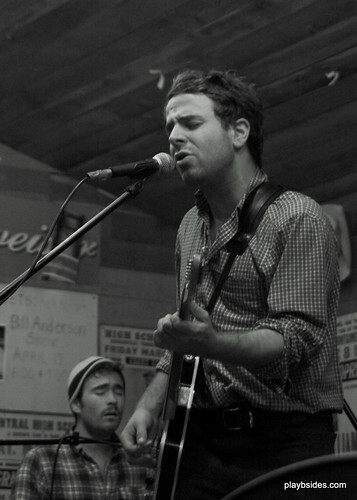 Be sure to pick up the August issue of Little Village Magazine where I have an interview with Taylor Goldsmith. You can read the whole issue online HERE. Tickets are $16 in Advance and $18 the day of the show and are general admission. 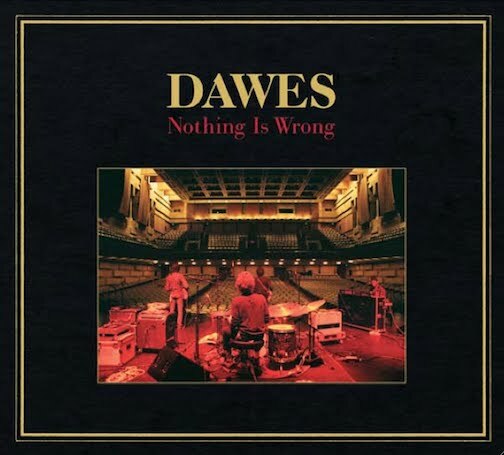 Upcoming Release: Dawes – “Nothing Is Wrong” on 6/7/11 – Build Your Own! Published on April 22, 2011 in Bands/Artists, Downloads, Music, Out and About and Vinyl. 0 Comments Tags: archive.org, Dawes, Downloads, Live, North Hills, Nothing is Wrong, Taylor Goldsmith, Vinyl. The much-anticipated sophomore release from North Hills, CA band Dawes was announced yesterday to much joy (at least around here…). The album called Nothing Is Wrong with the artwork above will come out on ATO Records which was the home of North Hills— the band’s first release. Following the astonishing success of their first album and in particular the amazing “When My Time Comes” which ended up in a Chevrolet trucks commercial– Nothing Is Wrong is a tough act to follow. Thankfully, the band has been playing songs from the new album for over a year, so we already know that there are some contenders on this album as well. Looking at the tracklist below, we see that “Million Dollar Bill” which was also a Middle Brother track makes an appearance as well. The original North Hills album came out on 2 LP 45 RPM 180g vinyl. I confirmed with Taylor Goldsmith that there will indeed be a vinyl version of Nothing Is Wrong as well! 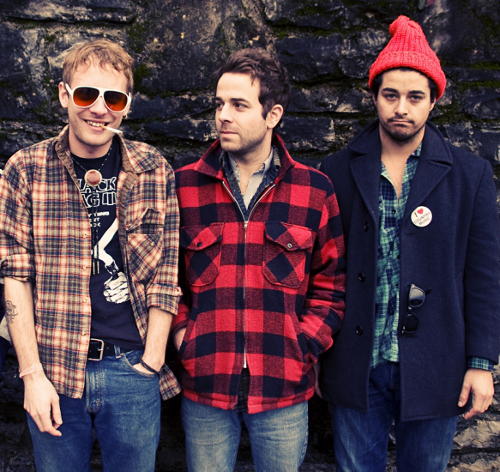 To start the buzz, Dawes has made the track “If I Wanted Someone” a free download in exchange of your e-mail address. Published on November 5, 2010 in Bands/Artists, Downloads, Eastern Iowa, Music, Out and About, Personal History and Upcoming Show. 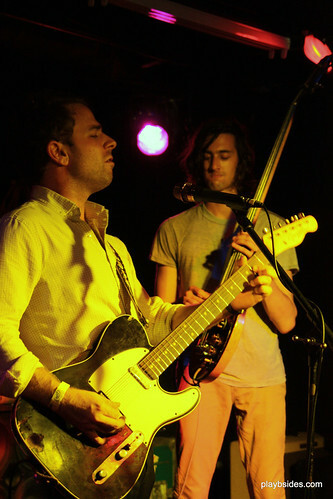 0 Comments Tags: Dawes, Live, Live Music Archive, New Songs, North Hills. Disclaimer: This blog does not condone the use of the information contained in this obviously well-researched article in wagering or betting– anyway, you’d probably have better odds going to the casino and not waste your hard-earned money betting on the track listing of a Dawes album. COME ON! Jeez. September 28th, 2010 marked the day that Dawes and its management finally caved in to the demands of the taper who goes mostly by Morst to allow their shows to be uploaded to The Audio Archive at The Internet Archive (archive.org). This was a conversation that started back during the October 2009 Daytrotter.com Barnstormer shows where he taped their stop at Treinen Farm. I also recorded three of the shows that I saw on that mini-tour (Maquoketa, Green Island and West Liberty). I had been meaning to do the final editing of this recording which was done by placing my Tascam DR-07 handheld recorder in slightly precarious locations, but only got around to using some of the audio with a video I shot with my iPhone in Maquoketa. The creation of the repository of Dawes shows pushed me to go back through my recordings and get them ready for posting, so I put four shows up that I taped– the three from Barnstormer and a show from February at Rock Island Brewing Company. 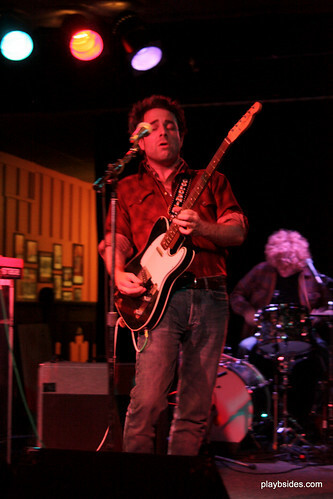 Since Dawes is still touring in support of their debut album North Hills, it isn’t surprising that these shows tend to focus on songs from that album– the anthemic “When My Time Comes,” the epic jam of “Peace in the Valley,” “Bedside Manner,” “Western Skyline”– all classic songs this early in their career! However, even shows around June 30th– the release date of the CD included songs that didn’t make it to their debut– whether outtakes from it or new songs they were working on. Looking at the setlists of the growing collection on archive.org, we get a pretty good list of songs that are candidates for the next album, which doesn’t have a release date, yet, but I believe the band is already recording. Here is the list of these songs with links to performances so you can listen to them for yourself. Note: Since I don’t have any direct confirmation of any of these songs, none of them can be 100% certain. My Way Back Home – 06/30/2009, 10/09/09, 10/10/09, 10/11/09, 10/12/09, 10/24/09 During the Barnstormer shows, Dawes was calling this a “new song.” The song has a subtle build with the really great harmonies at the end and a very powerful lead vocal by Taylor. It looks like they kind of dropped it out of their regular setlists. It does show up on the band’s second Daytrotter session. Since I don’t have a 2010 performance on the LMA, I’m going to say that there is a 25% chance that it makes the next Dawes album. How Far We’ve Come – 09/12/2009, 10/09/09, 02/13/10, 02/15/10, 06/27/10, 07/03/10, 07/04/10 (Early), 07/18/10, 08/09/10, 05/14/10, 10/24/09, 10/12/09, This song has shown up on more setlists than any other. 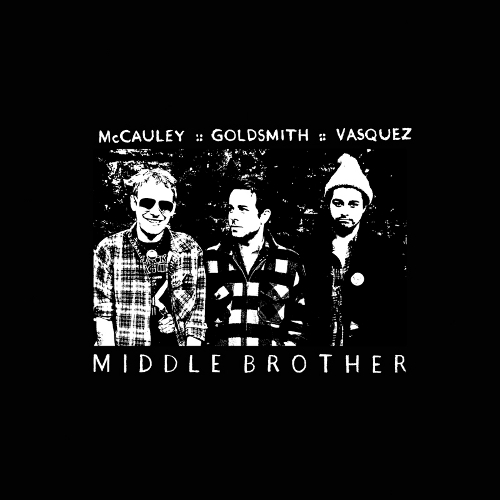 Has a really great vocal duet between the brothers Goldsmith. Really, this is probably the band’s own theme song (even though “When My Time Comes” is the huge song). This song shows up on the second Daytrotter session. I don’t have any confirmation, but I’d say there is a 98% chance it makes the next Dawes album. If I Wanted Someone – 02/13/10, 02/15/10, 05/14/10, 06/27/10 Also announced as a new song this year. This song is kind of the younger brother of “A Man Needs A Maid” by Neil Young and “Breakdown” by Tom Petty. This song is dark and angry and better be on the new album. My favorite. Check the 6/27 version and the smoking guitar solo! 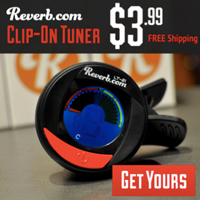 I think there is a 99% chance it makes the next Dawes album. Time Spent in Los Angeles – 02/13/10, 02/15/10, 05/14/10 Another song that shows up in 2010. I think this song is related a bit to “Western Skyline” from North Hills. In that song, Taylor follows his heart and a girl to Birmingham only to find out the relationship doesn’t last the move and, we know that he moved back to North Hills.. In “Time Spent in Los Angeles” he says that the time spent in Los Angeles makes him want to wrap the subject of the song in his arms. It’s interesting that on the 2/13 show he follows “Time” with “Western”… What are you telling us Taylor? This song didn’t make the June/July run of shows. I think there is still a good chance this song makes it– I say 85% chance it makes the album. Fire Away – 06/27/10, 07/03/10, 07/04/10 (Early), 07/18/10, 08/09/10, New song– shows up for the first time this year. I think that the Jackson Browne-ish feeling of this song and it’s recent inclusion in sets makes this a better than average bet — 95% chance that it makes the next Dawes album. So Well – 02/15/10, 07/04/10 (Early), 08/09/10, 05/14/10, That February show at RIBCO brought a bunch of new tunes to the table, “So Well” being one of them. The vocal harmonies on this song shows why Dawes is such an incredible live act. The guitar solo in this one has potential to become a show centerpiece like “Piece in the Valley” has become. We got this one in August, so I bet it makes the new album. 99% Chance. I’ve Got A Feeling (It’s Gonna Be Alright) – 10/10/09 As much as I love this song, with its one verse, I’m pretty sure that this one wouldn’t translate to a studio album. Maybe a live album… 1% Chance it makes it to the next Dawes album. All My Failures – 10/12/09, This song only shows up once in the LMA. A pretty waltzy song with the line, “I haven’t let my failures get me yet.” This song shows up on the band’s second Daytrotter session, though, which would definitely weigh in its favor (well, which was recorded around the same day as this show). 25% chance it makes it to the next Dawes album. Moon in the Water – 02/15/10 This song only shows up once, but the way Taylor talks about it, it must be a song that had been around for a while since he says he doesn’t get to sing it very often because it is one that requires an intimate show. Certainly it works really well as a solo song. But, is it a Dawes song? Maybe not. 20% chance it makes it to the next Dawes. Well, any way you look at it, Dawes is a band worth betting your next record purchase or live music dollars on. Dawes music isn’t edgy or groundbreaking but damn, they continually write great timeless songs with hooks that stick around. I’m really looking forward to the next album and what new songs the future tours will bring. 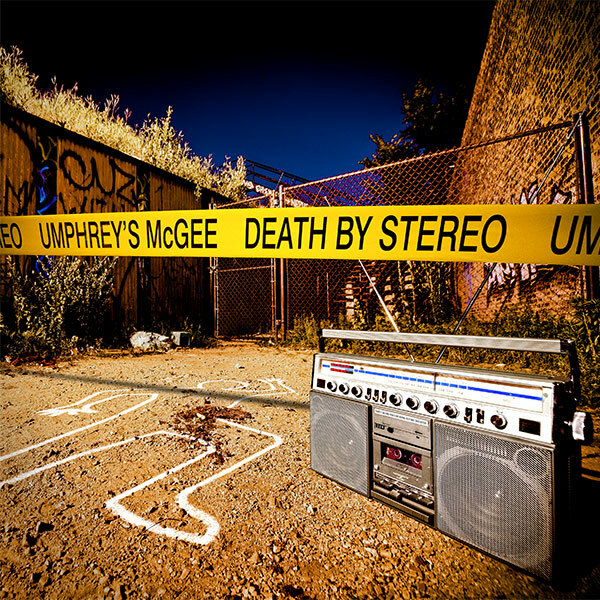 Published on January 16, 2010 in Bands/Artists, Eastern Iowa, Music and Vinyl. 0 Comments Tags: Barnstormer, Cory Chisel, Dawes, Daytrotter, Jason Boesel, Live, RIBCO, Rock Island Brewing Company, Upcoming Show. Some of the great shows I saw last year were part of the legendary Daytrotter Barnstormer shows— I experienced some very powerful performances in these cozy barn settings. One of the bands that really delivered some transcendent shows was Dawes. And, frankly, most everyone I’ve talked to who has experienced Dawes’ live show says the same thing. It’s like a rock and roll revival. Dawes will be back in the area delivering their sermon of multi-part harmonies and Heartbreaker guitars on Monday, February 15th at The Rock Island Brewing Company along with Cory Chisel and Jason Boesel. I wasn’t familiar with Chisel or Boesel, but the tracks I’ve sampled so far and their Daytrotter Sessions place them firmly in the same Leftcoast Americana sound that Dawes has perfected and will make for a great show. Jason Boesel is breaking out of his constant definition as being the drummer for Rilo Kiley by releasing his own album Hustler’s Son. Jason had a lot of support with his new album. 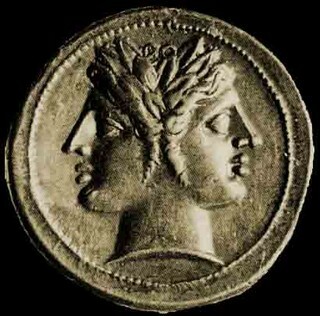 It was produced by Jonathan Wilson who also produced Elvis Costello’s Momofuku as well as Jenny Lewis’s Acid Tongue, and had session players Benmont Tench of the Heartbreakers, in addition to David Rawlings who worked with Gillian Welsh as well as Old Crow Medicine Show and some help from tour mate Taylor Goldsmith of Dawes. Cory Chisel is from Appleton, WI where he’s lived for over 20 years. His upbringing sheltered him from pop music, but was largely influenced by relatives who were musicians and exposed him to a lot of classic folk, country and blues artists from which he draws a lot of his inspiration. His new album Death Won’t Send A Letter is out on Black Seal records and his song “Born Again” has been garnering a lot of positive press. Death Won’t Send A Letter is going to, according to his website, get a vinyl pressing on February 8th. 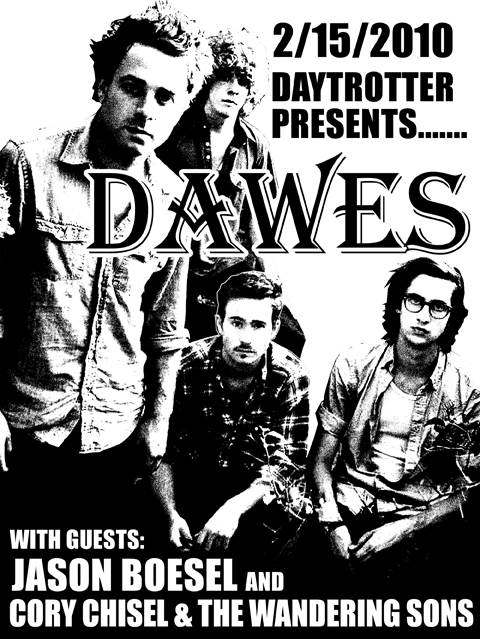 Additionally, the band will be sharing a live split 7″ with Dawes!! Don’t sleep on this folks– the show will sell out. Click Here to check out Cory Chisel and the Wandering Sons Daytrotter Session. Click Here to visit Cory Chisel’s Website. Click Here to listen to/download “Born Again” by Cory Chisel and the Wandering Sons. Click Here to check out Jason Boesel’s Daytrotter session which was recorded during the last run of Barnstormer shows in October. 02.15.10 Rock Island, IL Daytrotter Presents @ Rock Island Brewing Co. The Time to play b-sides archives for the dawes tag.